To create a happy, fun learning environment to enable us to learn lots of new skills. To make friends and help each other to learn and grow. We have Physical Education on a Tuesday and a Thursday, and we go swimming in the summer term. We love to work outside and like to practice our skills in practical situations. We follow the R.W.I. scheme to help us with our letter recognition and to help us to read. In our Maths work we use Abacus and Numicon alongside our lessons to support us. 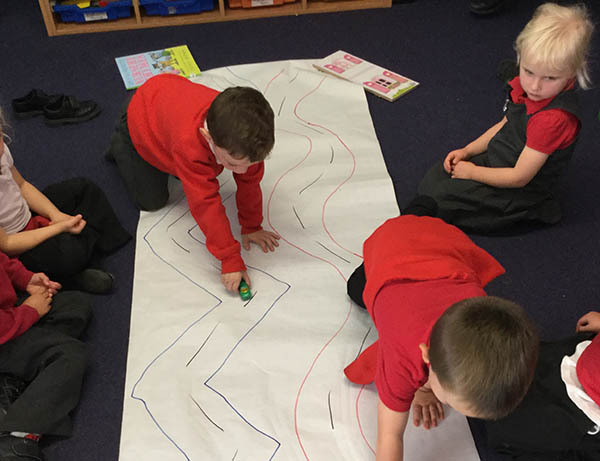 As well as working on focus tasks we also like to work independently in the exciting provision areas, to practice all the new skills we have learnt. Our class is a colourful and fun place to be, and we all like to play and look after each other.